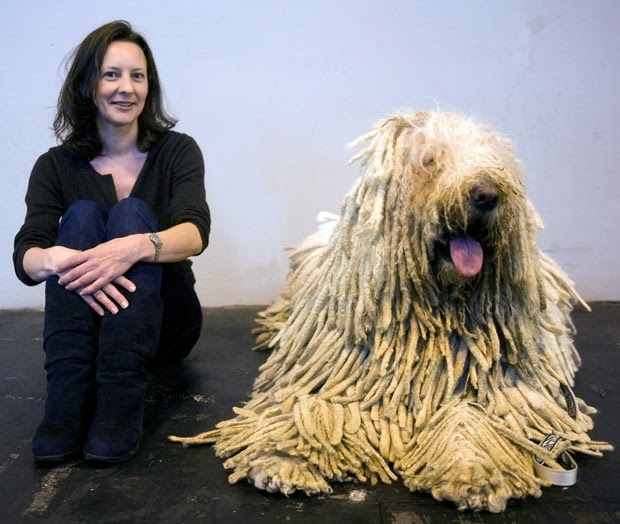 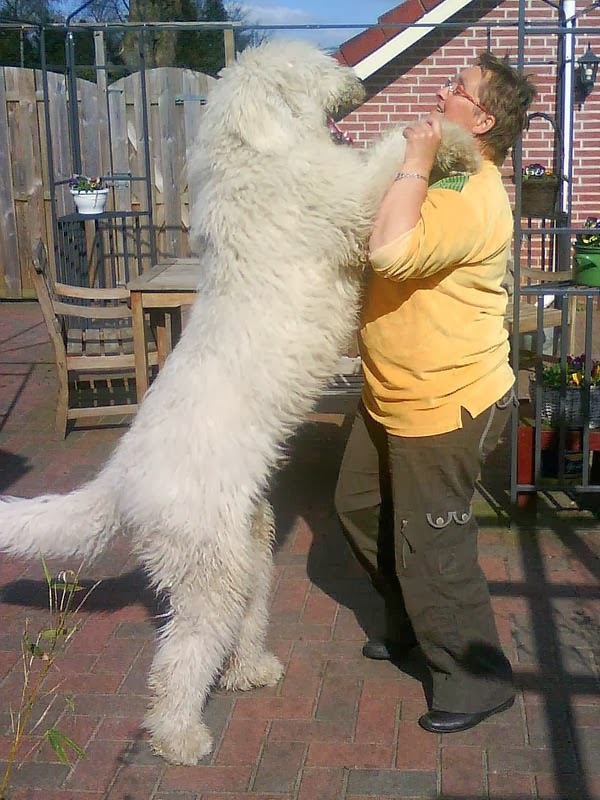 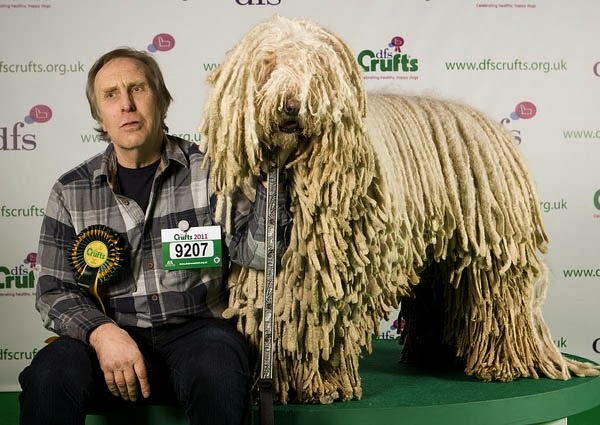 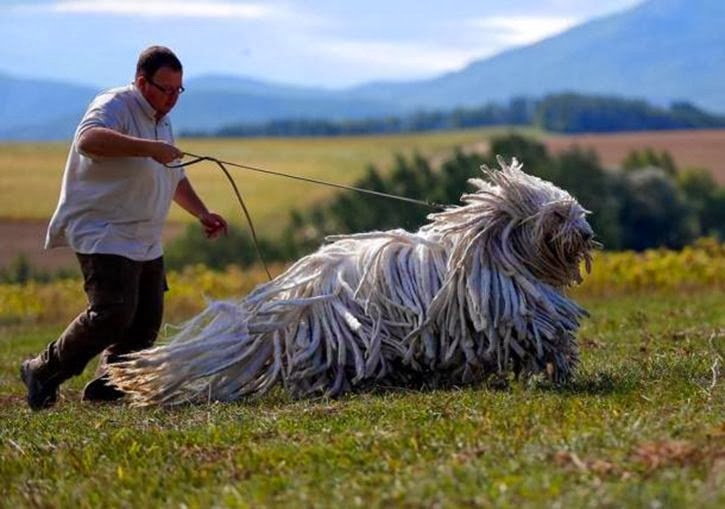 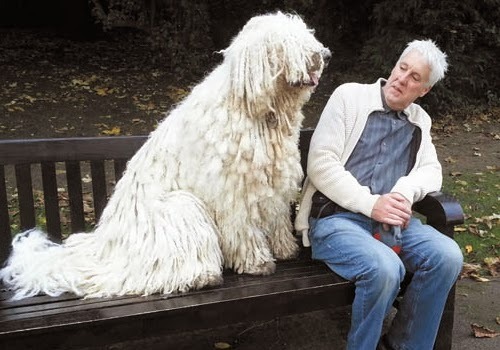 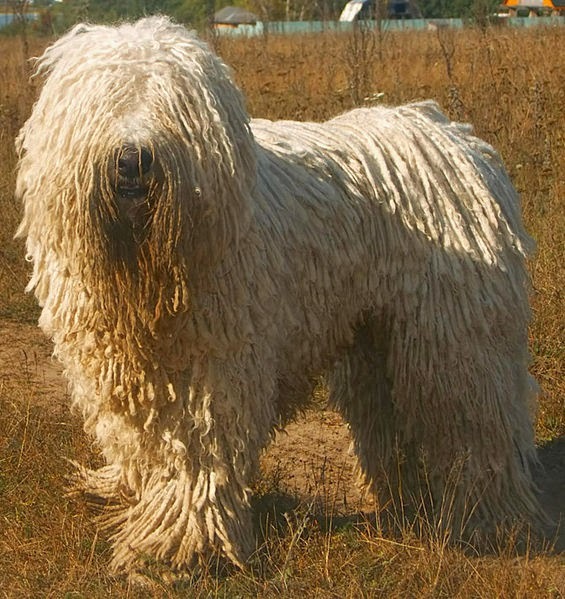 The Komondor, Canis familiaris pastoralis villosus hungaricus, (in Hungarian the plural for komondor is komondorok, not used in English) is a large, white-coloured Hungarian breed of livestock guardian dog with a long, corded coat. 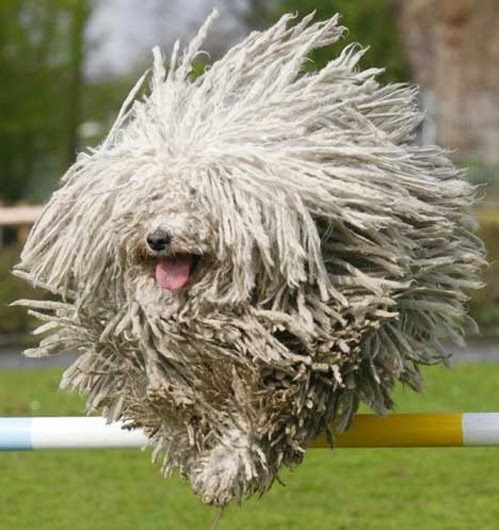 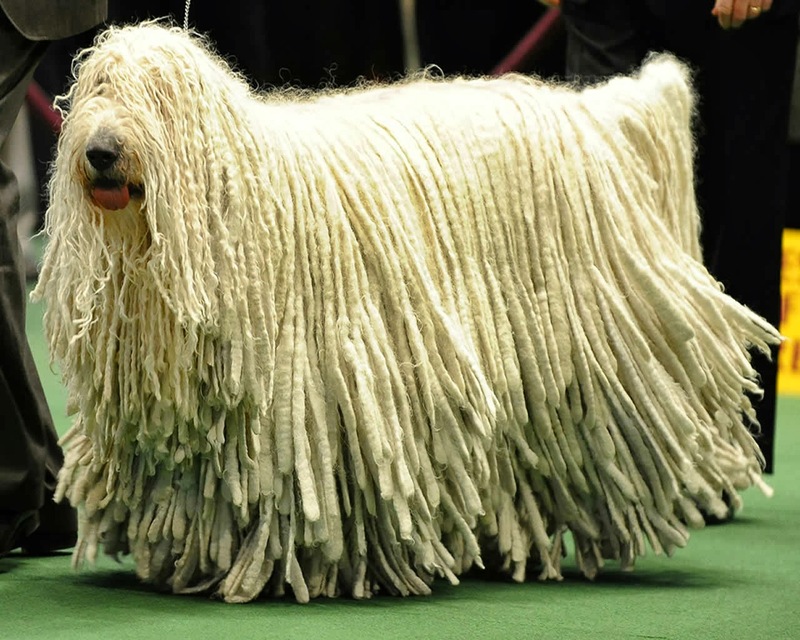 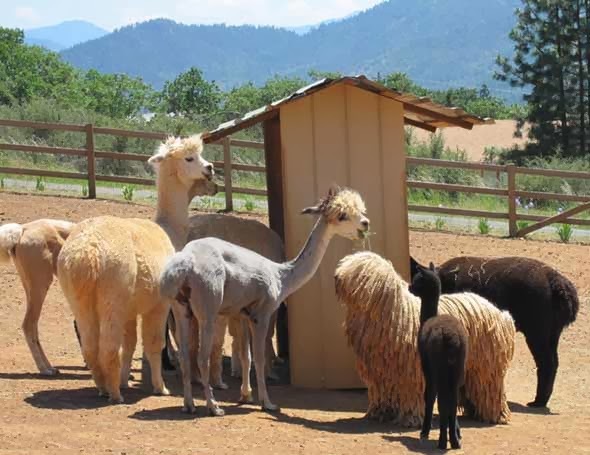 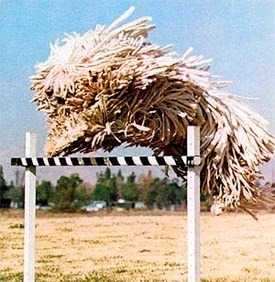 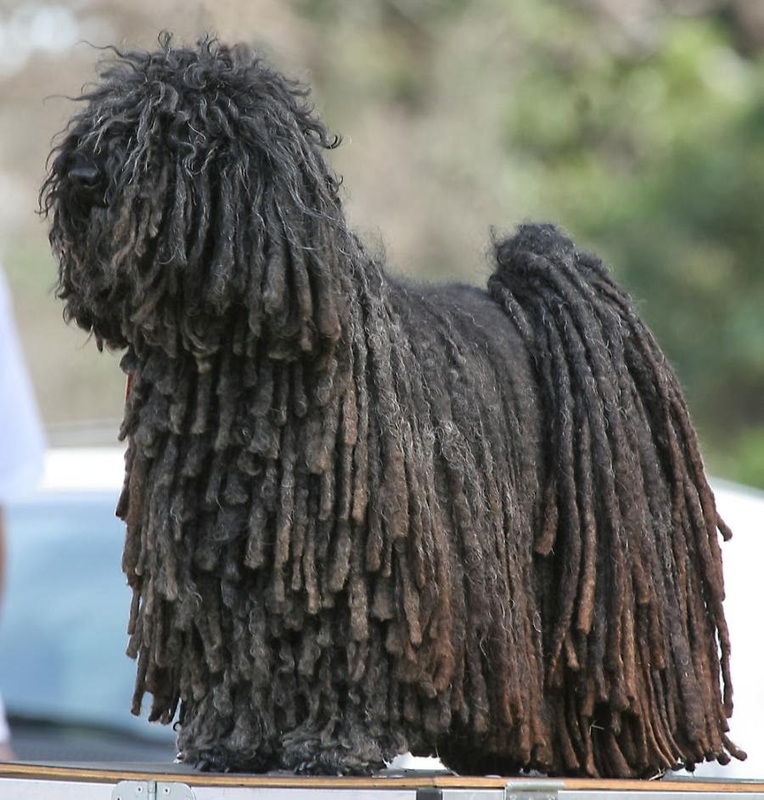 Sometimes referred to as 'mop dogs,' the Komondor is a long-established powerful dog breed that has a natural guardian instinct to guard livestock and other property. 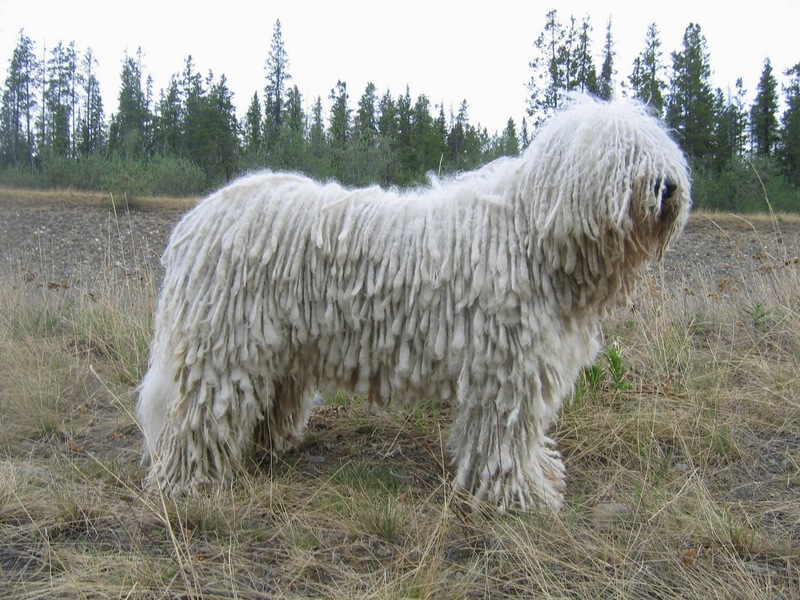 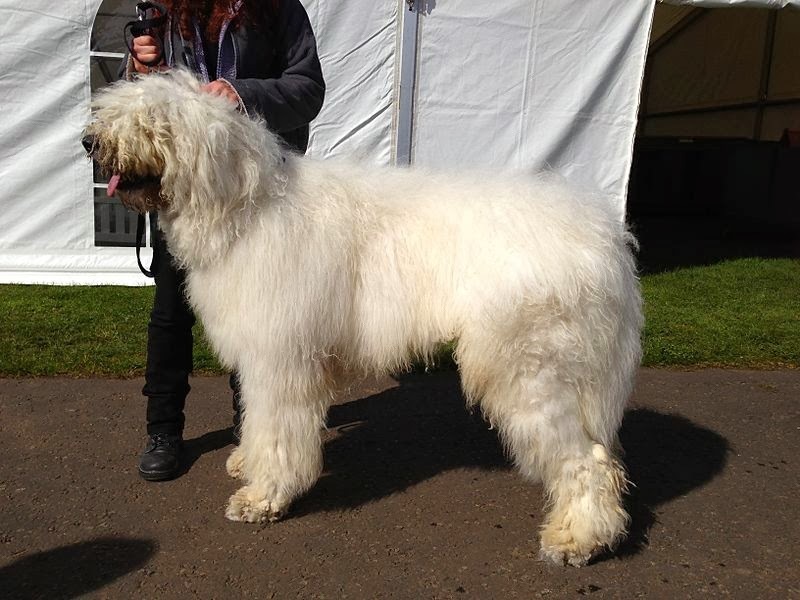 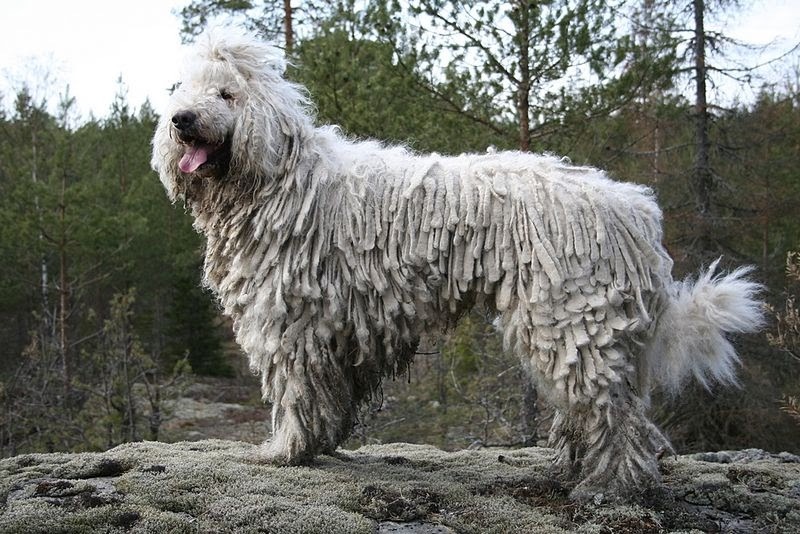 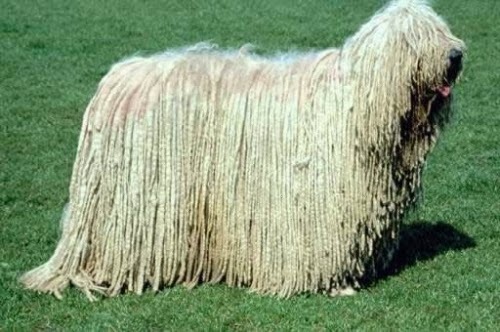 The Komondor was brought to Europe by the Cumans and it was mentioned for the first time in 1544 in a Hungarian codex. 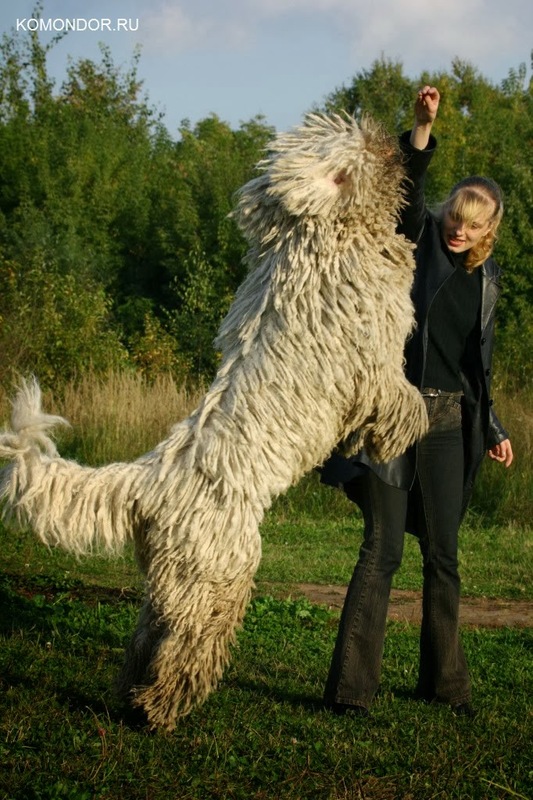 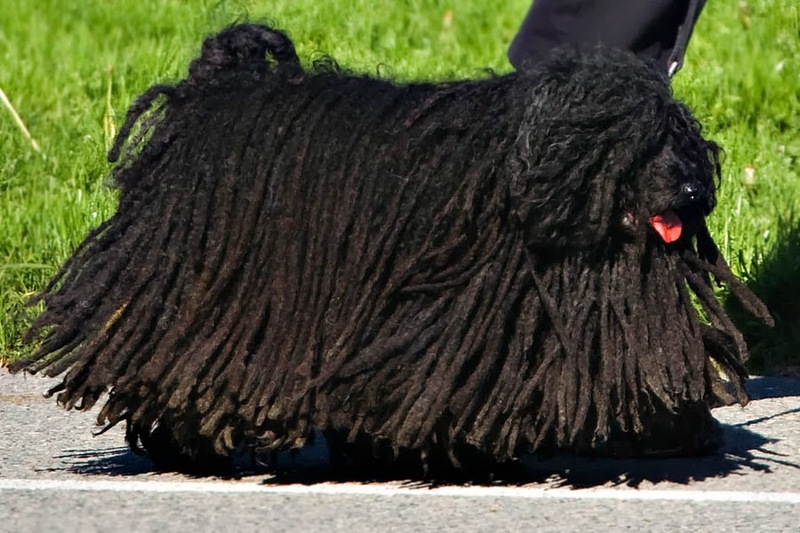 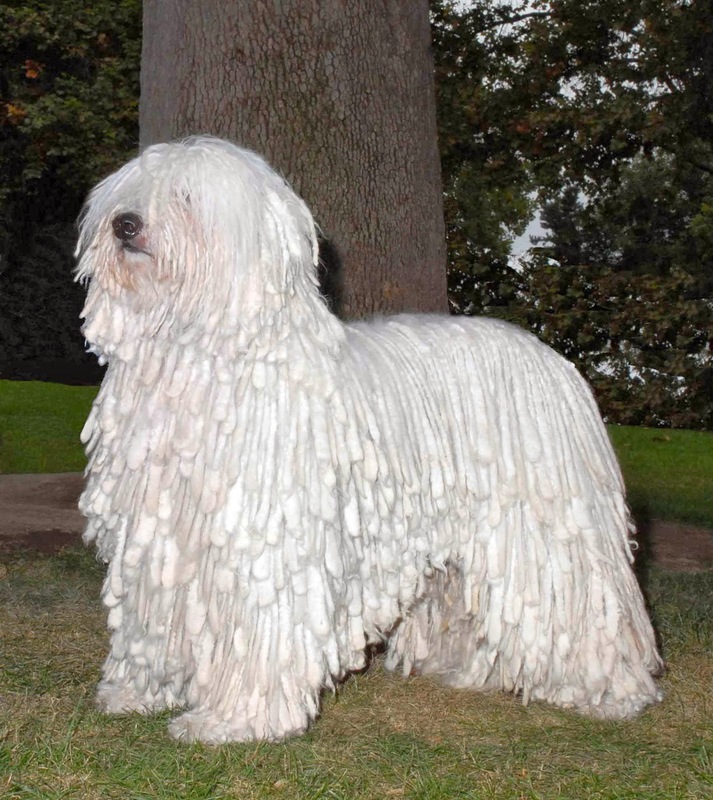 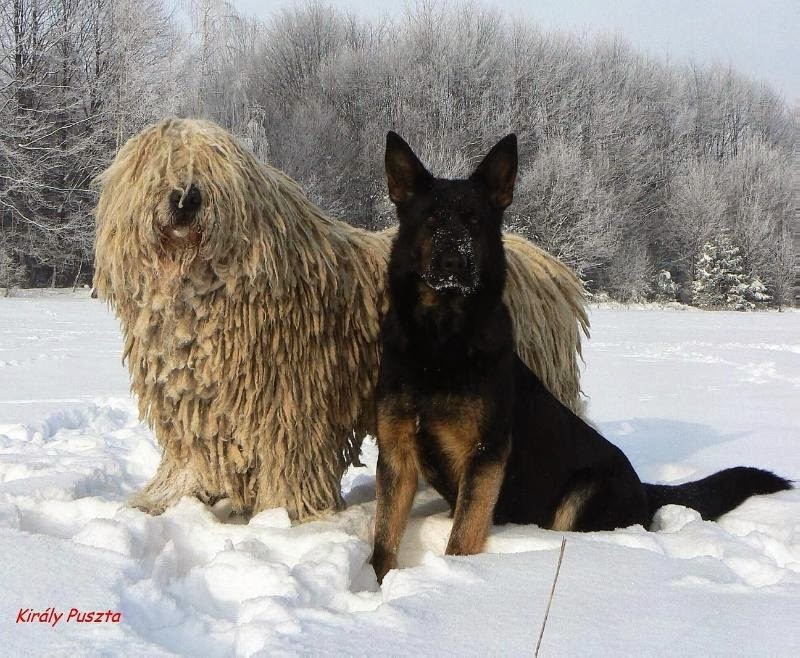 The Komondor breed has been declared one of Hungary’s national treasures, to be preserved and protected from modification.